Allow Flower Essences to open your heart. Receive the love you want. 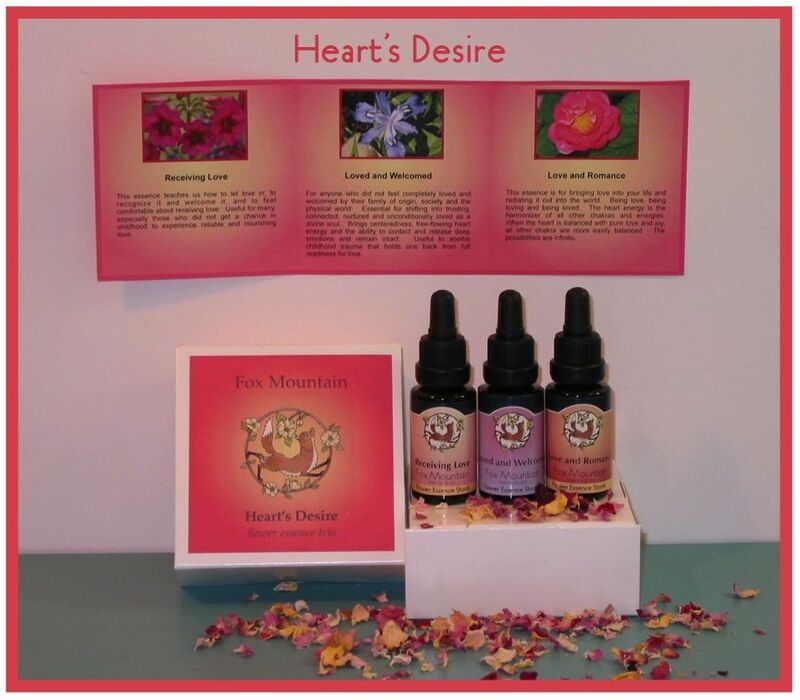 This is a boxed kit of three flower essences that support you in opening your heart to receive your heart’s desire in the areas of love and romance. Each flower essence is formulated to provide support for a particular aspect of this process. It is our misbeliefs about our right to be loved and our fear of whether we are loveable that make us most vulnerable. The delusion that keeping our heart safe means keeping it closed further keeps us from experiencing the joy of living with love. The pain we feel is the love we withhold. This essence teaches us how to let love in; to recognize it and welcome it, and to feel comfortable about receiving love. Useful for many, especially those who did not get a chance in childhood to experience reliable and nourishing love. For anyone who did not feel completely loved and welcomed by their family of origin, society and the physical world. Essential for shifting into trusting, connected, nurtured and unconditionally loved as a divine soul. Brings centeredness, free-flowing heart energy and the ability to contact and release deep emotions and remain intact. Useful to soothe childhood trauma that holds one back from full readiness for love. balanced with pure love and joy, all other chakra are more easily balanced. The possibilities are infinite. Includes the 3 Flower Essences listed aboved packaged in a beautiful box and tri-fold insert with descriptions and instructions. Click the button below to add the Heart's Desire Trio to your wish list.